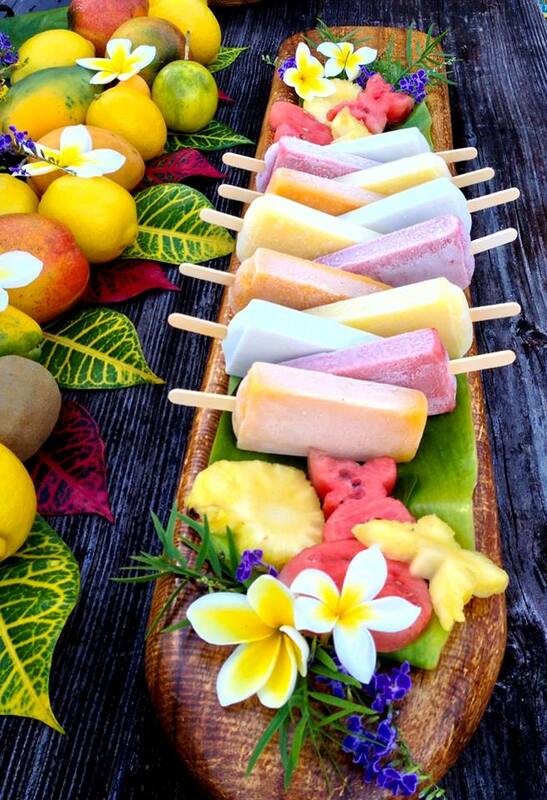 Wed­ding pops with a Maui touch! Let us cre­ate the per­fect pop for your wed­ding in par­adise! Our wed­ding pops will refresh your guests and reflect your unique style. Choose from our trop­i­cal or clas­sic fla­vor com­bi­na­tions, or let us cre­ate a cus­tom fla­vor to match your per­son­al­ity and theme. Wed­ding pack­ages include pops, plates, nap­kins, wipes, water and scent­ed mis­ter, as well as our ice trike and atten­dant. A but­ler pass ser­vice is also avail­able. Our ice trike can be cus­tom wrapped with your pho­tos or per­sonal mes­sage and dec­o­rated with local trop­i­cal flow­ers and leis for an addi­tional charge.